Four points from the six on offer, from the first two games of the festive season, has given the Fulham faithful hope that the side can climb out of the relegation zone and head for the comfort of mid-table. But, in typical Fulham style, those two games, against Wolverhampton Wanderers and Huddersfield Town, both at Craven Cottage, did little to help those with dodgy hearts. 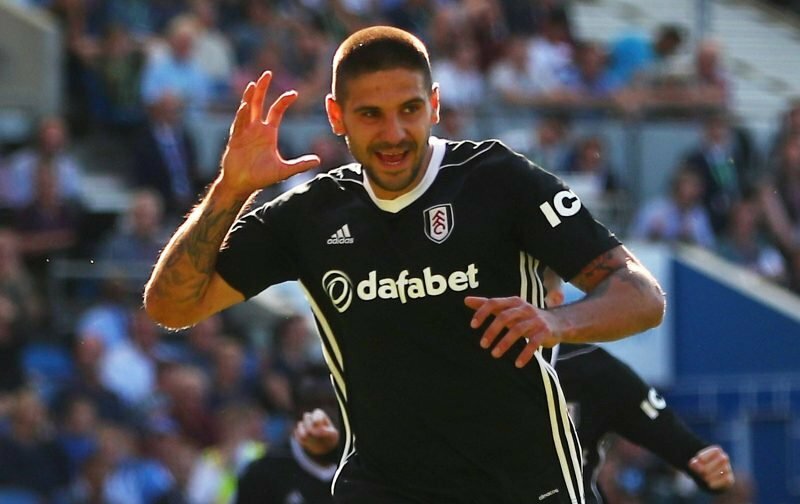 The first game, against Wolverhampton Wanderers, saw the Cottagers throw away a win by conceding a late equaliser, with Mitrovic having an off day when it came to scoring. However, any disappointment over that result was put in context when, in their next game, Wolverhampton Wanderers returned to London and beat title-chasing Tottenham Hotspur, 3-1, at Wembley. The second game, against Huddersfield Town, was just as eventful. With the game approaching its final few minutes, Fulham were awarded a penalty. But, who was to take it was the subject of debate with Kamara, Mitrovic and Cairney all vying for the ball. As it turned out it was Kamara who stepped forward and promptly missed the spot-kick. Thankfully, Kamara’s blushes were spared when Mitrovic netted close to the final whistle to give Fulham all three points. “We had a small argument and I think it is my job for penalties. He did not think like this but I respect that. I have done the same in the past. “Last time I said I am so unhappy I want to cry, today I want to say I am so happy I want to cry. It is a big three points, we kept another clean sheet and that is a big improvement for us. However, after two home games in this festive holiday, Fulham now prepare for a tough away trip against Arsenal, a side who will be looking to get back to winning ways after being mauled 5-1 by Liverpool, the last time out. We do, but I’d take a draw at the Emirates and describe it as a great result, how about you?